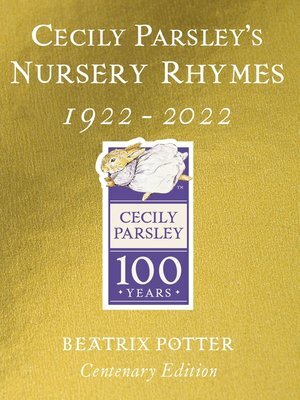 Cecily Parsley's Nursery Rhymes is a sequel to Beatrix Potter's first rhyme collection, Appley Dapply's Nursery Rhymes. Like the previous book it contains material she had produced and collected over a period of many years. the Cecily Parsley sequence of illustrations, for example, were first made into a little booklet twenty-five years earlier, in 1897.